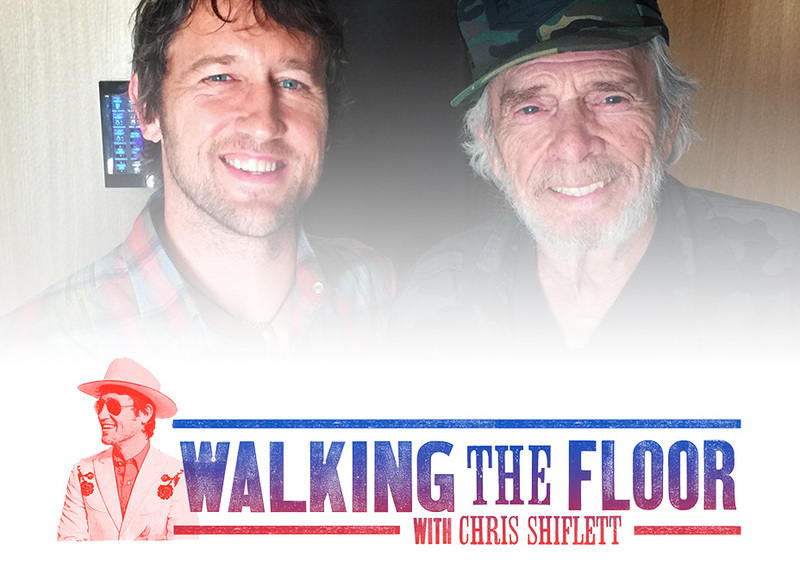 To celebrate the storied life and career of country legend Merle Haggard, Chris found it best to re-air the episode of Walking The Floor from July 29, 2015 when Merle was the featured guest. April 6, 1937 to April 6, 2016 – you will be missed. Merle Haggard was an American singer, songwriter, guitarist, and fiddler. Along with Buck Owens, Haggard and his band the Strangers helped create the Bakersfield sound, which is characterized by the twang of Fender Telecaster and the unique mix with the traditional country steel guitar sound, new vocal harmony styles in which the words are minimal, and a rough edge not heard on the more polished Nashville sound recordings of the same era. Haggard’s childhood was troubled after the death of his father, and he was incarcerated several times in his youth. He managed to turn his life around and launch a successful country music career, gaining popularity with his songs about the working class that occasionally contained themes contrary to the prevailing anti-Vietnam War sentiment of much popular music of the time. Between the 1960s and the 1980s, he had 38 number one hits on the US country charts, several of which also made the Billboard all-genre singles chart.